Home >> Airlines >> IndiGo >> IndiGo follows Go Air. 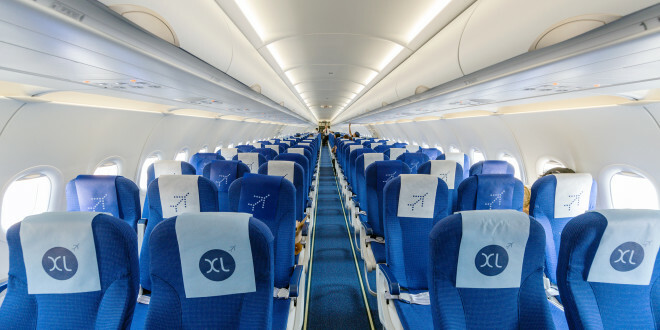 To increase its A320neo seating to 186. India’s largest domestic carrier IndiGo, is following the lead of fellow A320neo (new engine option) operator Go Air and will add another six seats to its new A320neo aircraft to increase capacity to 186 seats. 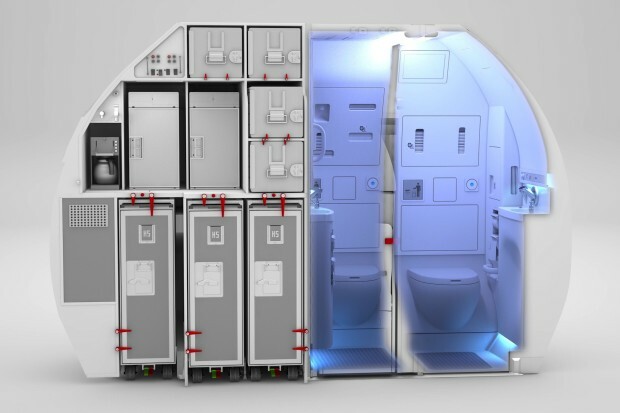 IndiGo, the world’s largest A320neo operator has chosen to implement the Airbus Space-Flex cabin made by Zodiac Aerospace. The Space-Flex module was developed in order to improve access for people with reduced mobility (PRM) passengers and also increase the current 180 seat capacity of the Airbus A320 to close the gap with the 189 seat capacity of the Boeing 737. 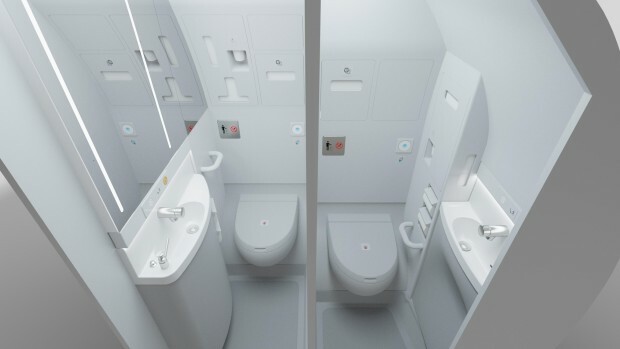 The Space-Flex module moves the two rear bathrooms in to the rear of the plane, next to the galley area and provides for an additional row of six additional seats in the place of the re-located lavatories. 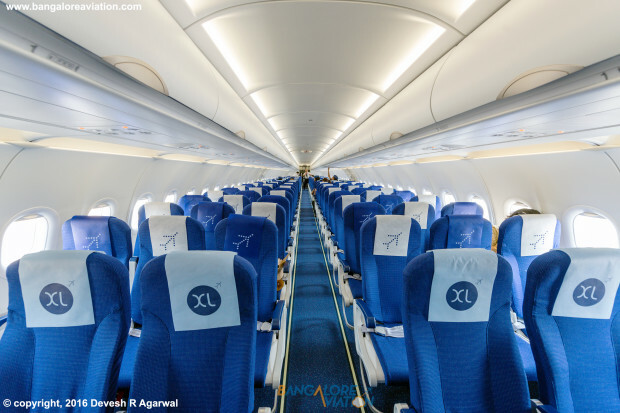 Airbus A320 Space-Flex explained. 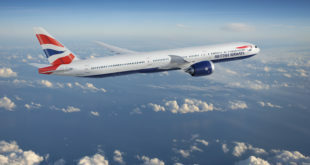 Airbus image. 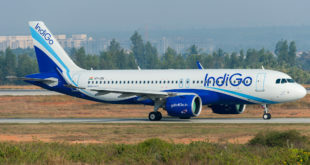 IndiGo will implement the change from the delivery of next A320neo VT-ITZ expected to be delivered shortly. 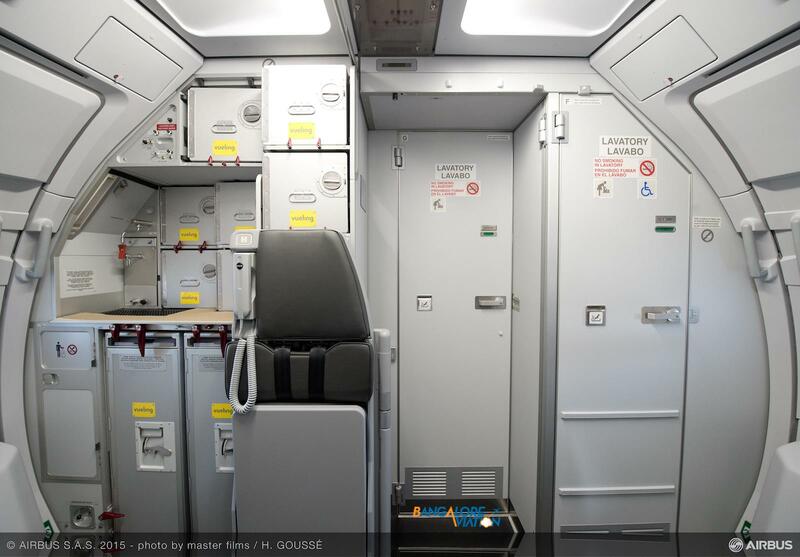 Version 1 (v1) of the module was first fitted on the A320s of Spanish low cost carrier Vueling. (Photo below). Airbus Space-Flex V1 fitted on the A320 of Spanish LCC Vueling. Airbus image. 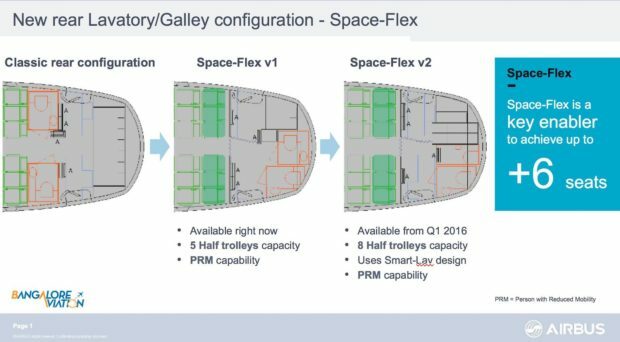 The following images show the Space-Flex V2 concept in detail. In the video below Marc Mueller, Marketing Director for Airbus, shows a full model and explains how the concept works. 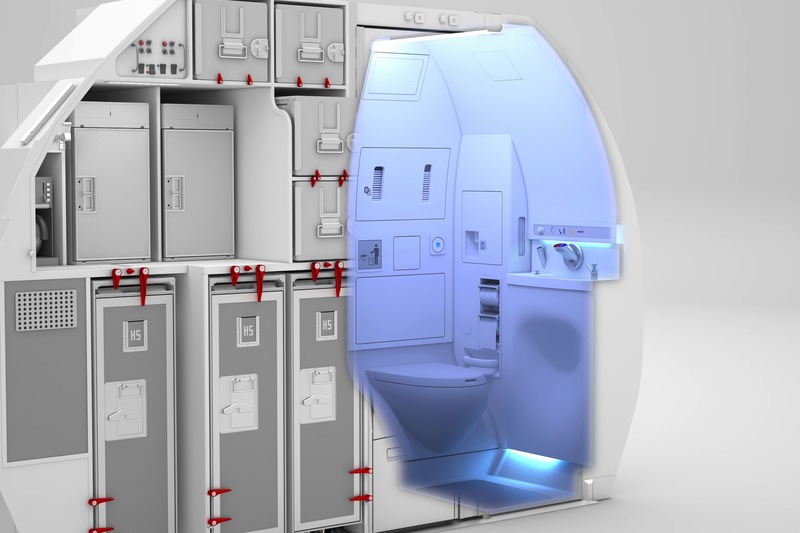 Very simply, in the same size and weight bracket of aircraft an additional six passengers are accommodated. For the same airport landing and parking charges, IndiGo gains an additional three per cent of capacity, FOR FREE. There are two draw-backs to the new Space-Flex cabin. First the lavatories are now really small. 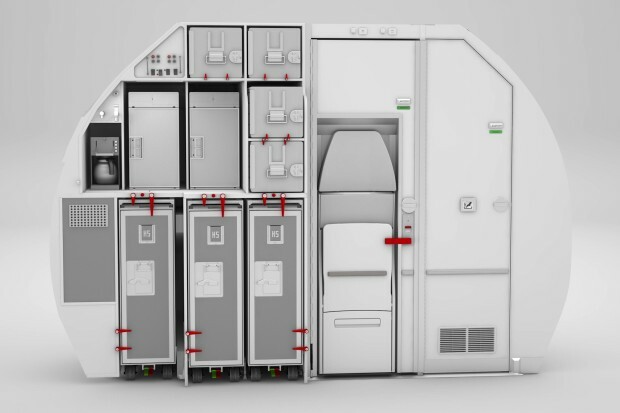 Second, there are no windows on the new row 31 and it will be a little cramped. So avoid it if you can. Share your thoughts on this new development via a comment.